??? want to web up to rank ? ? ? Send 10,000+ real 100 manually done from social network traffics tracked by hidden trick..
Traffic is the most important things when build a blog/website. Without traffic, web/website is nothing. 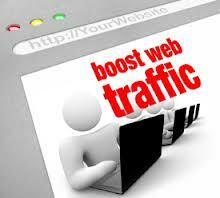 I will send you 10,000 real traffic to your site. I do not sell specific country base visitors rather from whole world. Just provide me your real site URL . send 10,000 USA HUMAN TRAFFIC BY Google or Social Media site. etc to website is ranked 5 out of 5. Based on 269 user reviews.